I read your response to me. Thank you for taking the time to do so. I need to gather my thoughts and contemplate what you have written. I'll comment when the time is right and I have thought things through. May you be blessed this day in Jesus and always. I hope you saw the other responses in the combox; and also the new post I put up on "Why and How did Churches become Mosques in the Middle East?" This should become an interesting series. I hope and pray that the God of the Scriptures, the Holy Trinity, will give you true peace and strength and guidance from the hardships and turmoils that that cultic group dealt to your heart and mind. Thank you for your kind words. It is the Blessed Triune God who gives me comfort indeed. Much of the cult baggage has been stripped away thanks to His love and mercy. Still, I have no doubt strains of it linger, of which I may not even be aware. I've had to learn of Christ's forgiveness, being compassionate toward those who offended me. It has been a hard yet joyful lesson. I've been away from COBU (abbrev. for Church of Bible Understanding) for over 20 yrs. Many born-again Christians that I met after leaving there didn't know what to make of me. Some thought I had a demon, others told me they wanted nothing to do with my "cult baggage," some were astonished that I could have been taken in so easily. Didn't I read my Bible, they would ask. Read it? We studied it profusely. We memorized large passages of Scripture. We prided ourselves on "rightly dividing the word of truth." We knew how to debate Scripture better than most Christians. That was our hallmark. So, when I am encouraged by Reformed Christians to "read the Scriptures and pray" to discover the truth of the Reformed position it reminds me of the very thing we said in COBU to proove OUR position. And you can probably gather that we weren't Reformed; not by any stretch of the imagination. As regards the Reformed position, I cannot be persuaded by it. Perhaps it's due to having attended a Wesleyan-Methodist College. Or my time spent in COBU in which we fiercely opposed OSAS. Even though at that time I hadn't yet heard of the term TULIP, I recall that we opposed the teachings of what ULIP meant. Total Depravity would have been the only tenet we would have defended. Many of our friends fr. COBU who had left joined a Reformed church. Eventually my husband & I followed suit and became members as well. I became very familiar w. the doctrines of grace. Suffice it to say, though try as I may, and with a sincere heart and mind, I could not be convinced of Calvinism. After attending that church for 10 yrs., we moved on. There was no bitterness or hard feelings. Our closest and dearest friends are still Calvinists so I am reminded of TULIP & Calvinist doctrine frequently. I am still inquiring into Orthodoxy and will meet with Father 'N' this week. Still, I pray, read Holy Scripture and entrust my soul to a faithful Creator. Never once in all his fourteen epistles does the Holy Apostle Paul has anything bad to say regarding good works. (Quite on the contrary). The Judaizers he preached against did not teach his Churches to do good works, they taught them that their faith in Christ and their fruits of repentance (i.e., good works) are worthless without the keeping of the Law of Moses: circumcision, dietary laws, and ritual washings. Interesting story. I was amazed when I googled this "church of Bible Understanding" that I had not heard of this before. His sermons are free on line. Go to sermons and you can look them up by Bible book. When God Weeps, by Joni Ereackson Tada and Steve Estes is the best book I have ever read on God's sovereignty and suffering. You said of John Piper, "He does a good job of explaining TULIP." Ken, I was "TULIPED" out. My husband and I used to meet with Calvinist Christians and read A.W. Pink, Martin Lloyd-Jones & Spurgeon. My husband has a collection of C. H. Spurgeon's sermons in pamphlets and "Lectures to My Students." While I haven't read all of Calvin's Institutes, I am familiar with a sufficient portion of this work. Our pastor at the Reformed Calvinist church was a staunch 5 pointer and his sermons were based on Calvinist theology. My closest friend of at least 25 yrs. is a Calvinist. My husband's two closest friends are Calvinist. I know the TULIP backwards and forwards, upside down and inside out. Each petal has been carefully plucked and withers on the ground. From my experience, it seems Calvinists can't accept that anyone could accurately understand TULIP and reject it. Just recently I had a discussion with my Calvinist friends in which I let them know I don't adhere to TULIP. You could hear a pin drop afterward! The air was so thick you could cut it with a knife! But then, I so kindly reminded them that they are not from the purest strain of Calvinism, being Reformed Baptists and all; 1689 London Baptist Confession, bah! Whasupwithat?? T'aint the Westminster Confession good enough? 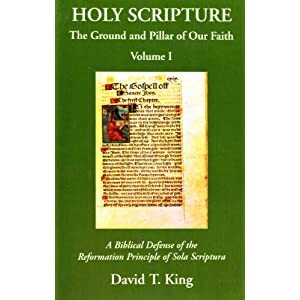 Or what about the Belgic Confession? Seems some Calvinists are closer to Calvin's beliefs than others. :) Hope ya know this is just a bit of good-natured banter. I was greatly influenced by John Wesley's teachings, such as his quadrilateral of Scripture, Tradition, Reason, & Experience. But, I'm closer to Luther in my understanding of the Sacraments of Baptism and the Lord's Supper. And I lean toward the Mennonites as regards pacifism. But, I am evermore and increasingly drawn to Eastern Orthodoxy. "each petal has been plucked . . . "
So, you don't believe in the total Depravity of human hearts? Genesis 6:5 "every imagination of the thoughts of man's hearts was only evil continuously"
John Murray covers this in his "the Imputation of Adam's sin"
Theosis or Deification is a problem in EO of what it communicates. Santification and glorification and being conformed to the image of Christ, yes; Deification, no. For me, I would go crazy without the bedrock stability of God's sovereignty and effectual grace. He has to take out our heart of stone and give us a heart of flesh. The other parts of TULIP fall into place. But, you are right in once sense, you have many other voices from all those other theologies crowding your heart and mind; it seems. Calvin's "covenant infant baptism" was a step in the right direction; but we are all friends and that is a secondary issue. Wesley's "reason and experience" and traditon over-ruled a proper interpretation of Scripture on many issues. As for the pacifism of the Mennonites; that viewpoint was definitely the majority view of the Early church for the first 380 years; and is a great contrast with the first 400 years of Islam. However, remember the old gutted Orthodox church picture that James Swan put up on his post that began the interactions with you here? I have been in that church, in Fethiye, Turkey. there are many others like that today in Turkey. Another example of my theme of "what happened to the early church and how did the churches become Mosques?" Without a balanced understanding of separation of church and state and that the state has the right to defend itself and wage "just war"; based on Romans 13:1-8; Europe would have been run over by the Arabs in France (732 AD, Battle of Tours) and later in Vienna, (1500s)etc., if they the Christian cultures had not adapted the "just war" theory of Augustine and separation of powers that Calvin seems to have developed. My name is Bill Gall; I was in COBU from 1975-79. After twenty years with the Christian Missionary Alliance, the Baptists, and the Mennonites, and seeing the intractible alternative positions on matters relating to salvation in Christ, I jettisoned reliance on individual Bible interpretation and embraced the Eastern Orthodox way of understanding how the Faith is to be understood and passed on. The Russian word 'sobornost" describes it fairly well. We do believe in original sin, though not as Calvinist's do; original death might be a more precise way to say it. Deification is a term for what 2 Peter 1:4 speaks of. You're the first other ex-cobuer I've found that has explored Eastern Orthodoxy. I would be glad to talk to you about it.